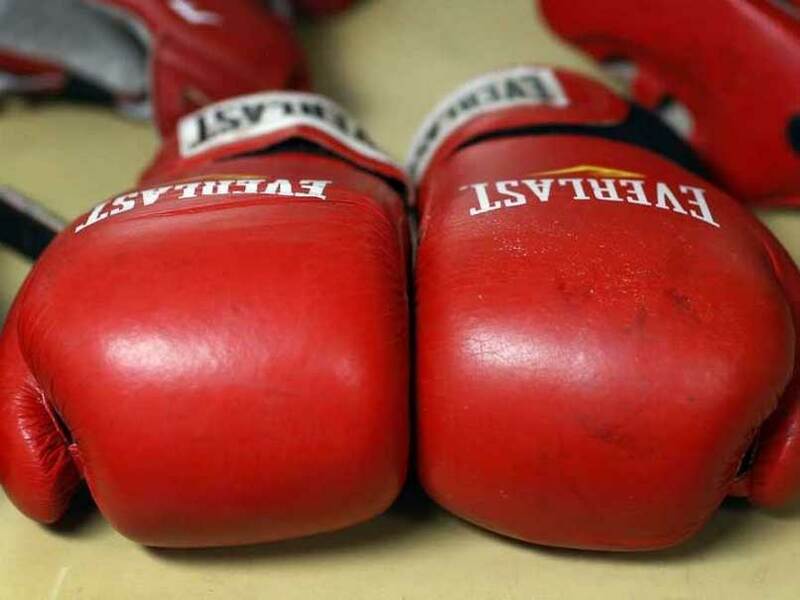 Amit Phangal became the first Indian boxer to enter the quarterfinals of the 19th World Championships, upstaging seventh seed Carlos Quipo of Ecuador in his second-round bout on Sunday. 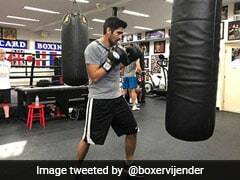 Amit Phangal became the first Indian boxer to enter the quarterfinals of the 19th World Championships, upstaging seventh seed Carlos Quipo of Ecuador in his second-round bout on Sunday. The Indian prevailed in a unanimous verdict to make the last-eight stage of the light flyweight 49kg category at the Sporthalle here. It was an assured performance by the Asian Championships bronze-medallist, who is enjoying a breakthrough year at the senior level. The 21-year-old didn't look in any awe of his rival's higher seeding and frustrated him with his counter-attacks. Quipo hardly looked the part of a seeded boxer and was cautioned several times for failing to keep his head up. Earlier, Manoj Kumar drew from his huge reservoir of experience, while Kavinder Bisht relied on sheer tenacity for hard-fought opening victories. Manoj defeated Moldovan Vasilii Belous 3-2 in an exhausting welterweight (69kg) contest. Kavinder, on the other hand, edged past Japan's Ryusei Baba in a similarly draining flyweight (52kg) bout, which ended 3-2 in his favour. However, there was slight disappointment too as Asian Games bronze-medallist Satish Kumar (+91kg) bowed out of the competition after losing his opening contest to Azerbaijan's two-time world champion Mahammadrasul Majidov 5-0. The Indian was slightly under the weather going into today's contest, having suffered a bout of viral fever before coming here. The faltering Moldovan had little or no response to offer in the first two rounds and resorted to throwing wild swings at the Indian. However, the burst did tire out Manoj in the last round and Besoul tried to grab the advantage at this stage. "Both Manoj and Kavinder had tough bouts in a very different way. But they knew how to maneuver and they did just that," India's Swedish coach Santiago Nieva told PTI after the two bouts. Satish contested the last bout of yesterday and even though he gave a good account of himself, the judges ruled overwhelmingly in favour of his more decorated rival.